Christine Saulnier, PhD, is the Nova Scotia Director of the Canadian Centre for Policy Alternatives. Tammy Findlay, PhD, is Associate Professor, Political and Canadian Studies, Mount Saint Vincent University and Research Associate, CCPA-NS. This article was originally posted on its blog Behind the Numbers, and is republished with permission. KJIPUKTUK (Halifax) – The Nova Scotia government has announced that it will introduce a new free pre-primary program for children turning four by the end of December 2017. While there are many reasons to be concerned about the implementation of this program, the good news is that the government is investing in the early years and it recognizes that moving toward a universal program is the best way forward. Targeted programs are inefficient and can create stigma for users, whereas universal programs bring together everyone in the community and can build connections across income levels, cultural groups, and family types. This investment is long overdue. According to the Minister of Education and Early Childhood Development, the first phase of this policy is to have 50 programs available at 43 locations across Nova Scotia by the end of September. Sites were selected based on “greatest need, which included if there are few to no current regulated child care options.” The other factor—likely the main one—driving site choice was space availability within schools, along with the willingness of school boards to move forward. Now the government has to find qualified staff for these new sites, which may be much more difficult than they envision. This means that in the very short term, some families may have access to free early learning programs for at least part of the day for part of the year. However, working families will still have to figure out child care before and after school and during any in-service days, March break, summer holidays, etc. The cost to cover the actual care hours needed for working parents (80% of families in Nova Scotia) will still be upwards of $5,000, cutting in half the government’s estimate of what families would save as a result of this program announcement. But aside from the cost for parents, there is no recognition in this program announcement of the other problems families face doing the child care scramble. How will these kids get from the school-based program to the after-school program—if one is available? How will centres deal with the age and needs’ differences? How will centres employ staff for before and after-school care—will they work split shifts and only be paid a few hours per day? How will this impact a school system that is already overburdened (given the recent teacher strike and ongoing efforts to address concerns in public education around inclusion, sufficient supports and funding)? Finally, there are obvious concerns in the child care sector about the implications of how this program rolls out. Current providers are already struggling to provide quality, affordable care and pay their educators decent wages, without introducing a new program with differential wages. 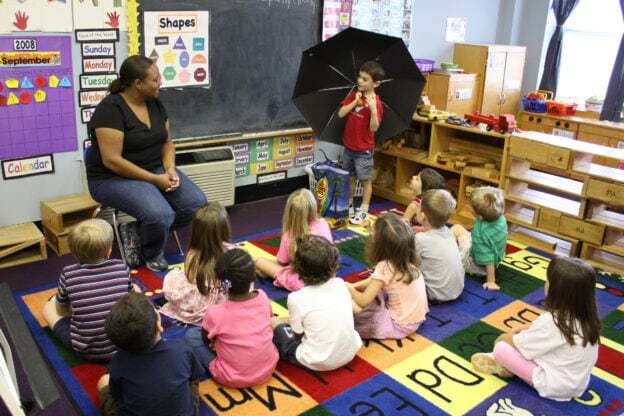 Providers are struggling to provide infant and toddler care, which is more expensive because it requires more educators per class than for preschoolers. Families who need care for children under 18 months cannot find it—in Halifax only 9% of regulated spaces are for infants, and toddler and preschool spaces make up 34% and 57% respectively. How will the government ensure current centres providing care can still do so, let alone expand what is available for those under the age of 4? The Minister noted at Tuesday’s press conference that implementation takes time, and some chaos is unavoidable. However, meaningful consultation, including learning from other provinces, is key to minimizing chaos. And despite the tone of consultation and collaboration at the announcement, everyone including the sector itself appears to have been taken by surprise. There had been no discussion of this program prior to the election, and it was not the recommendation that came out of the province’s last child care review, which identified infant and rural access gaps as dire. It seems unlikely that the additional $3.7 million allocated in the budget introduced (but not passed) in April, and likely to be reintroduced in September, will cover the costs of even this first phase of the program. It is reported that the government will invest $50 million total (8,900 children), but it remains unclear what that will cover (ie. are there any capital enhancements in the capital budget?). This investment need not come at the cost of additional investment needed in the p-12 system, as we have shown in our alternative budgets; the government can and must do much more for the social and economic well-being of its citizens. The biggest bang for the taxpayer buck is investing as early as possible; playing catch up in the later years is more costly. What is the province asking of the federal government as it negotiates a bilateral agreement? Who are they consulting in the sector as they negotiate? While some of the oversights in the government’s plan may be clarified as they engage in consultation and figure out some of the implementation details, it seems unlikely that the government will stall implementation unless they do not find the qualified staff. As with every policy, details matter, and the province still has an opportunity to get some of them right. The government needs to immediately implement a transition plan for existing child care providers across the province, which means additional investments are required. There also needs to be a workforce strategy that deals with the currently inequitable compensation and working conditions, as well as funding to support infant and toddler care. Without dedicated funding for a transition plan, providers will struggle to recruit and retain staff, raising the very possible risk that parents will lose access to care for those under the age of four and wrap around care for school-aged children (before, after-school, summer). Quality and safety should drive the design of the program. These early years programs should follow the same ratios and requirements as regulated child care providers in Nova Scotia with ratios of 1:8 for this age group instead of the 1:10 being proposed. Kids should be supported with retrofitting of infrastructure, which may delay opening some of the programs. Adequate governance and accountability measures must be in place. The government has said that school boards will decide wages, but won’t actually govern these programs. So, although programs will be in schools and subject to the school’s health and safety regulations, they will not be administered by principals. What does this mean for working conditions? Currently, child care centres have directors and the non-profits have boards that provide parents with some accountability. Is appointing a lead educator sufficient to ensure accountability in this new model? Who will do the appointing? Ultimately, our government needs a plan for transitioning to a universal early learning and child care system. The transition must offer options to current child care providers, along with funding to ensure care is expanded for all children aged 0-5. The plan needs to consider options for Indigenous children, whether on- or off-reserve. Ensuring that the system is fully inclusive must be a priority. It is critical that we invest in our community members as early as possible, to support families and put our most productive social and economic foot forward. However, based on last Tuesday’s announcement, the government doesn’t yet have a plan to build a quality, evidence-based, universal early learning and child care system. To do so would require ending the patchwork of programs, including the inadequate subsidy program for families (one of the lowest in the country). It needs to stop subsidizing for-profit providers who charge on average 21% higher fees than non-profits, and offer all current centres the opportunity to become public centres or remain as alternatives just like private schools. It needs to roll the various funding envelopes into one funding envelope out of which a comprehensive system could be systematically built. Without this, parents will still be left scrambling to find child care, no matter the age of their children, let alone care they can afford with (median) fees of $900 per month. We need a funded transition plan to a full system for all children in Nova Scotia. If you can, please support the Nova Scotia Advocate so that it can continue to cover issues such as poverty, racism, exclusion, workers’ rights and the environment in Nova Scotia. A pay wall is not an option, since it would exclude many readers who don’t have any disposable income at all. We rely entirely on one-time donations and a small group of kindhearted monthly sustainers. My fairly well educated guess as to the real reason for this program is to have an income stream for the child (ha ha) welfare system. Cynical? yep. Just wait and see.